Prescriptions can be faxed to us at 888-469-2555, or we can accept a scanned copy of your prescription by emailing it to us at sales@bestcpapprice.com. This innovative interface features a unique forehead adjustment and pivoting design that helps to ensure a secure, leak-free fit on most facial profiles. Its lightweight design and minimal headgear make the mask extremely comfortable for the patient to wear. The mask is available in sizes small and medium and has several cushion styles to choose from. Cushions are available in Traditional Silicone, ComfortTouch Silicone, and ComfortTouch Gel. Additionally, the tubing can be worn straight down or over-the-head for added flexibility. After 3 nights the mask will not seal. Feels as if the silicone shrunk. The headgear is ridiculous the way it straps across the bottom of the mask, and has a connector at the side of my neck. 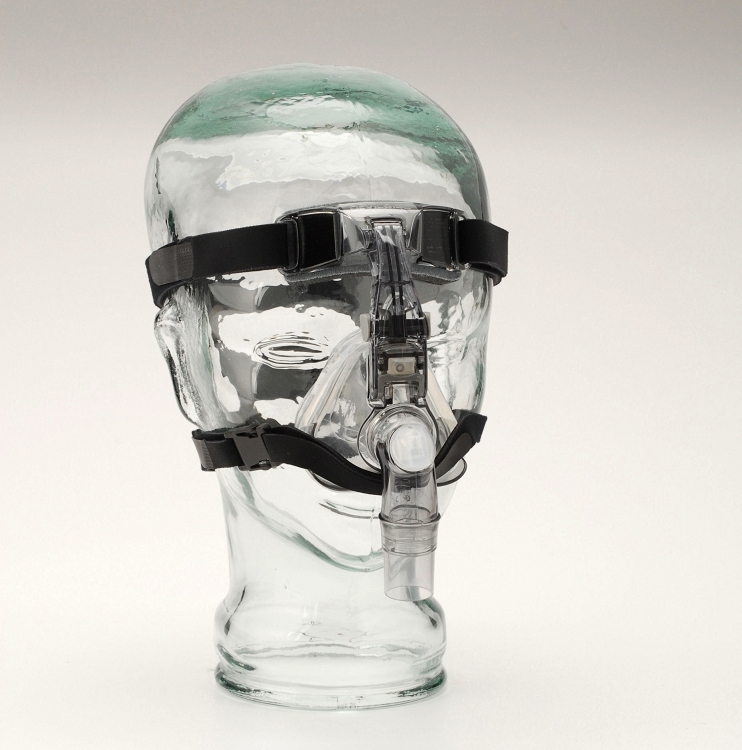 When up in the middle of night, it is difficult to get he mask reconnected without light to see to conenct thebottom strap. Terrible mask. 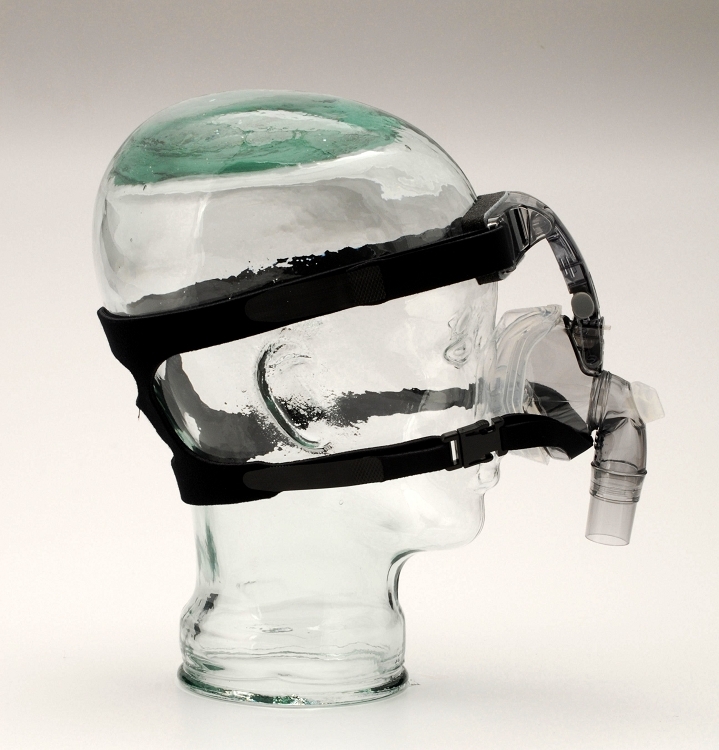 This is the second DeVilbliss CPAP mask I bought from you. I noticed that every time DeVilbliss makes improvement to the mask. It is a good mask - good fit and economical. Again, thank you for the good price and efficient shipment ! I purchased this mask rather than the Restonics mask I usually buy. The Restonics mask is a bit more comfortable for me. Also, the way the headgear snaps together is more cumbersome than the restonics masks. I will use this mask, but next time I will buy the Restonics mask. Delivery was fast with a tracking number so that I could track where the mask was. I have not used the mask yet. But it is exactly what I have been using and what I have expected - as a replacement for a damaged one. The price is way below what I can get here in Canada - online or in the store. Thank you very much. Keep up with the low price and good work !! I bought this as a replacement recently. At first I was sceptical about this website and the price, because when I checked my previous home care supplier, they asked me for 4 times as much money. I checked other websites, and they were offering it at a much higher price. Eventually I received this mask in 4 days, and it is exactly when I am using, and at a cheaper price. I will continue to buy from this company, though I have to pay shipping as much as US$30(USPS priority mail). But the total final price is still a lot cheaper than buying it in Canada. I recommend this company. Canadian are being ripped off by Canadian companies !!!! Shame !